News and comment related to central banking, global finance, gold, the Ikon and official banking. No to Vollgeld, Yes to Ikon! 6. Expect more bad bankers and bad banks How has the state punished the financial industry for its crimes, corruption and anti-social behaviour? By showering it with subsidies, privileges, perks and by offering it protection from an angry public. And by reducing its profitability and capacity to change by piling new regulatory layers and requirements…. Read more reviews of The Money trap by experts including Andrew Sheng, President of the Fung Global Institute, Warren Coats, former senior IMF official and Michael Taylor of the Financial Stability Board. "The Money Trap embodies an original, ambitious, bold, and provocative approach to the subject of the crisis and the monetary system." "Pringle shows why current international arrangements repeatedly bring crises." Allan Meltzer is University Professor of Political Economy, Carnegie Mellon University, Pittsburgh, and the leading historian of the US Federal Reserve. 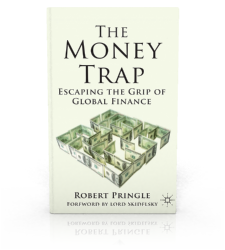 This website monitors and comments on new developments in the global financial system from the point of view taken in Robert Pringle's book, The Money Trap. 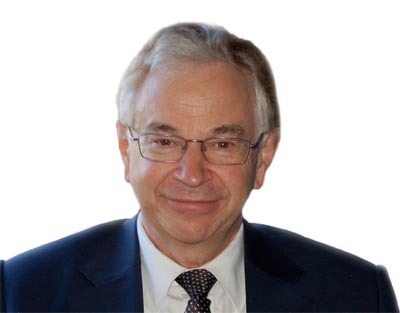 Sign up to receive email updates once or twice a month directly from Robert Pringle. © 2012 Robert Pringle. All Rights Reserved.